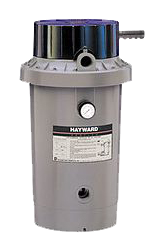 Monarch Pools & Spas has a huge inventory of all the newest Hayward In-Ground pool Filters. ProGrid vertical grid D.E. 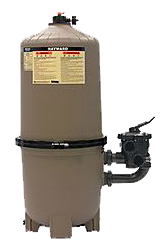 filters provide superior water clarity, efficient flow and large cleaning capacity for pools and spas of all types and sizes. ProGrid combines high-technology features and “service-ease” design for an unparalleled filtration value for both new pool and aftermarket installations. Perflex® Extended-Cycle D.E. filters clean pools fast, removing particles as small as two microns the first time through. Its patented Flex-Tube design gives longer cycles between cleaning because the same D.E. filter powder is used over and over. 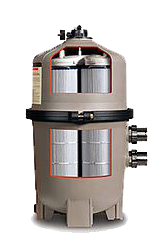 For both new pool and aftermarket installations, Star-Clear™ Plus filters offer excellent quality, value and convenience in single element cartridge filtration with no backwashing that saves hundreds of gallons of water per year. 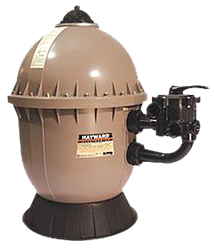 For new pool and aftermarket installations Pro-Series™ filters provide efficient flow, totally balanced backwashing and an advanced self-cleaning under-drain system for the best value in filtration. Pro-Series™ Plus incorporates the many features of Pro Series – plus satisfies the requirements of the most demanding installations, including pools with in-floor cleaning systems, spas, fountains or solar heating. 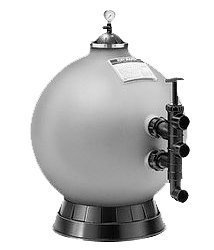 Its spherical tank design evenly distributes the high pressure and stress associates with these applications, resulting in greater strength and longer life. 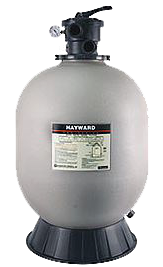 A high performance corrosion-proof filter series that combines superior filtration and features for ease of operation. Designed with the pool owner in mind, S200 filter series in the ultimate high-rate sand filtration. Bolted center flange provides extra strength and securely fastens tank top and bottom together. Allows for access to all internal components. 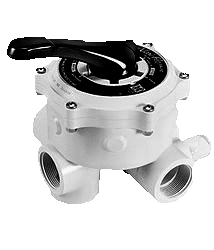 Precision engineered umbrella-fold self-cleaning laterals for balanced flow and backwashing, plus easy serviceability. 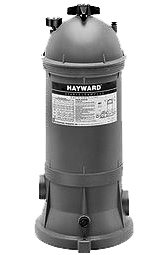 Hayward’s Vari-Flo control valves with easy to use lever-action handle allows you to quickly dial any of the filter functions for maximum efficiency. Integral sight glass lets you see when water is clean and backwash cycle is complete.